As the early crowds pour in, they’re treated to a nostalgic trip with Sheffield band Milburn. Once lauded as the next Arctic Monkeys (and also best mates of said band) they never really hit the same heady heights, though the likes of Cheshire Cat Smile and What Will You Do (When the Money Goes) still invoke excited singalong moments this afternoon. Even new tracks like Midnight Control appear to garner a decent reception. The band are particularly self-deprecating about their past with their anecdotal remarks. It’s an upbeat set and inspires some early excitement, but it falls to Peter Hook and The Light to really get the party started on this occasion. As Peter and the band take to the stage, the atmosphere seems to instantly change to one of adoration. Rightfully so in many cases though, as he tears through a set packed with hits: the likes of Digital, Transmission and True Faith all make very welcome appearances. However, it’s Love Will Tear Us Apart that gains the largest reaction, as Hook and the band are joined by Jim Glennie and Tim Booth, Tim’s exuberant performance delighting the packed crowd in advance of James’ set. In a bid to retain the enthusiastic momentum James take to the stage and open with a raucous rendition of Sit Down, which sparks an outbreak of instantly deafening crowd singing. It proved an impressive way to start as the band went from strength to strength, it was a set laden with hit after hit, the likes of Sometimes, Getting Away With It (All Messed Up) alongside new tracks like Dear John and closing track Nothing But Love. 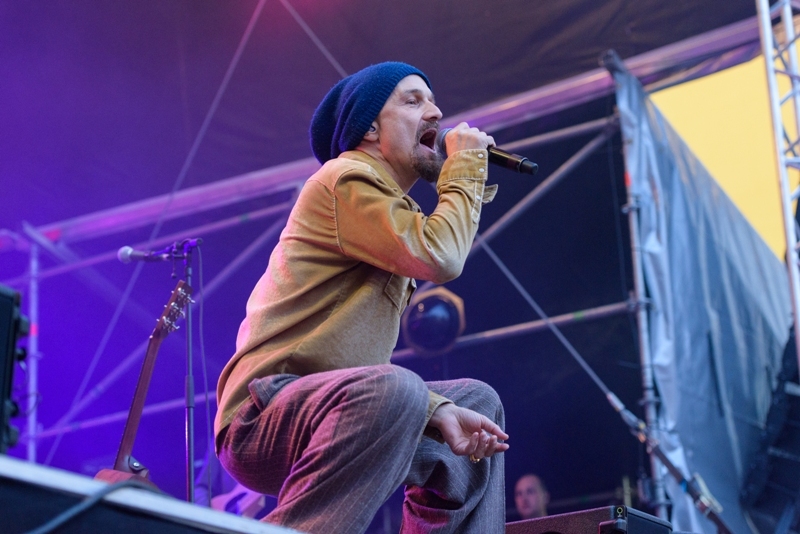 Tim Booth’s performance is equally impressive as he continually gets up close and personal with the crowd. With their passionate set truly striking a chord with everyone in the crowd tonight, it’s the perfect way to round off a wonderful day of music.